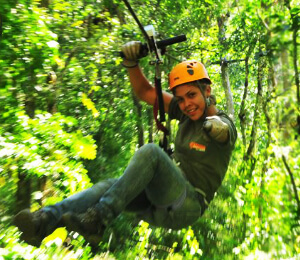 This fabulous adventure in the amazing jungle environs near the vacation paradise of Puerto Vallarta. You'll soar high above the Los Veranos ecological preserve. 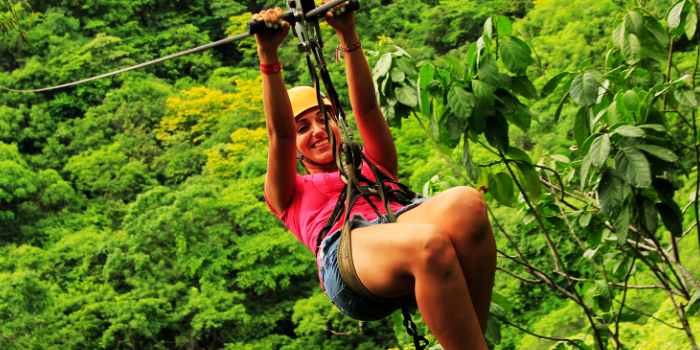 This exhilarating eco-adventure will be the highlight of your holiday in Puerto Vallarta. You'll begin your tour with a panoramic drive along the beautiful shores of Bahia Banderas. On this complimentary journey to Los Veranos, you'll witness gorgeous coastal landscapes, palatial seaside estates, and the iconic Los Arcos rock formation. Our naturalist guides will then lead you on a hike through the amazing Los Veranos back country, where you will see exotic plants and wildlife including coffee plants, wild vanilla, rare colorful orchids, agave, and nesting parakeets. You'll be charmed by the songs of these brilliantly plumed birds. 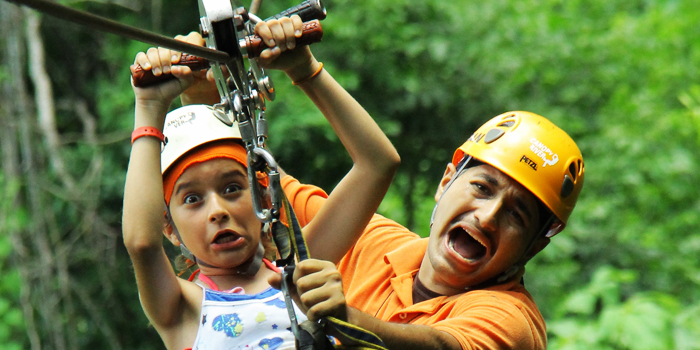 After a brief hike, you'll reach the steps that climb high into the canopy to the first zip-line deck. 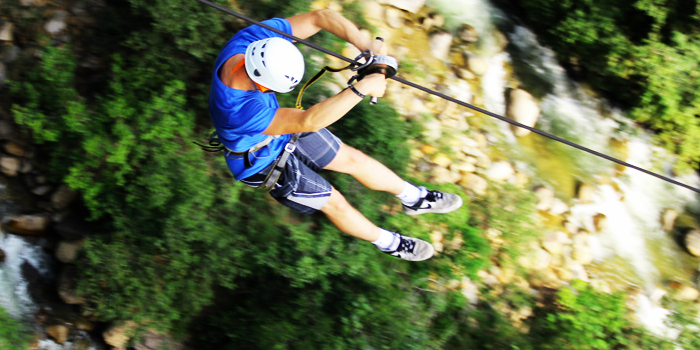 Our professional staff will ensure that you are properly instructed about ziplining before strapping you into a safety harness. The first few cables provide an easy introduction to the process. Gradually the rides will become more and more thrilling. The tour reaches its apex when you are sliding along a steel cable at thirty miles per hour at the dizzying height of five hundred feet above the ground. 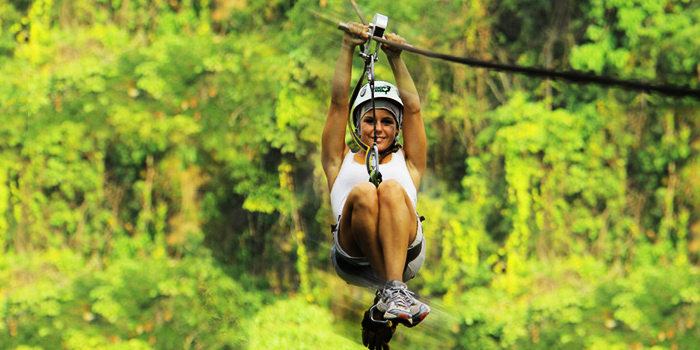 Your pulse will really start pounding when you fly along our longest cable which surpasses thirteen hundred feet. 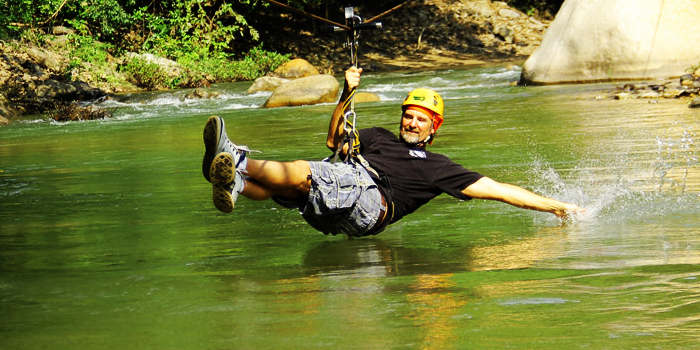 After your canopy tour, enjoy a delicious meal in our restaurant along the rocky shores of the Orquidias River. Taste local Mexican fare, sip on some of the eighty varieties of tequila or try some locally produced Mexican moonshine or raicilla, liquor made from the maguey plant. Raicilla is the oldest known alcoholic beverage in the Americas. The restaurant has a number of waterslides that will drop you into the refreshing waters of the Orquidias.